Left Bridge work within the travel and tourism sector to bring a sophisticated level of design and photography to brochures, town guides, websites and social media. 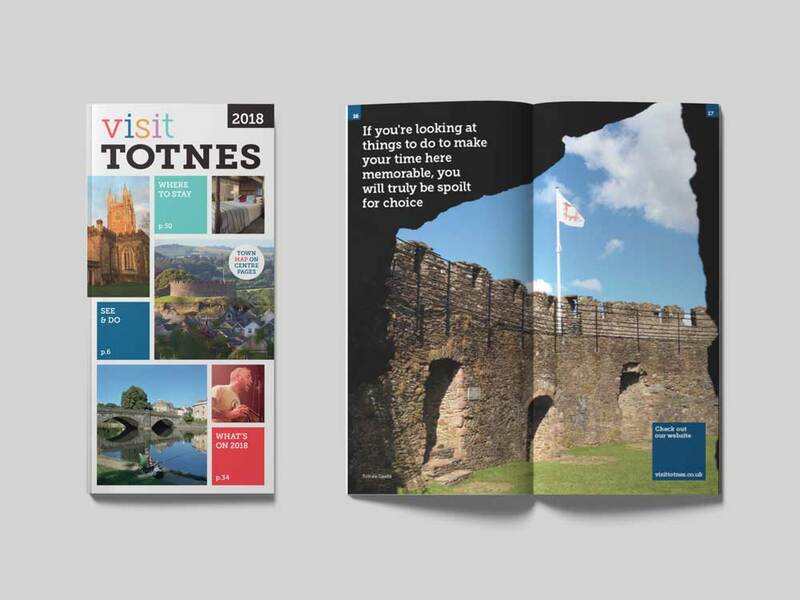 Kingsbridge information center have used Left bridge for the last six years to produce their tourist guide and marketing. Kingsbridge in South Devon is an ideal starting point to explore the area. In order to welcome visitors to the town, we came up with a friendly ‘hello’ brand mark. We always look to push boundaries and make publications feel more than an advertising vehicle – creating products that tourists and locals want to pick up, keep and take away. Hello visitors, welcome to Devon. Devon is a fantastic holiday destination and the tourist sector is increasing yearly. Our website and brochure design service bring together holiday ideas in Devon, information on where to stay in Devon, activity ideas, maps, service and more. With tourism becoming an ever more saturated market, we make locations stand out and shine with great visual communications and strategic distribution. Holiday ideas in Devon? We’ve got it covered. 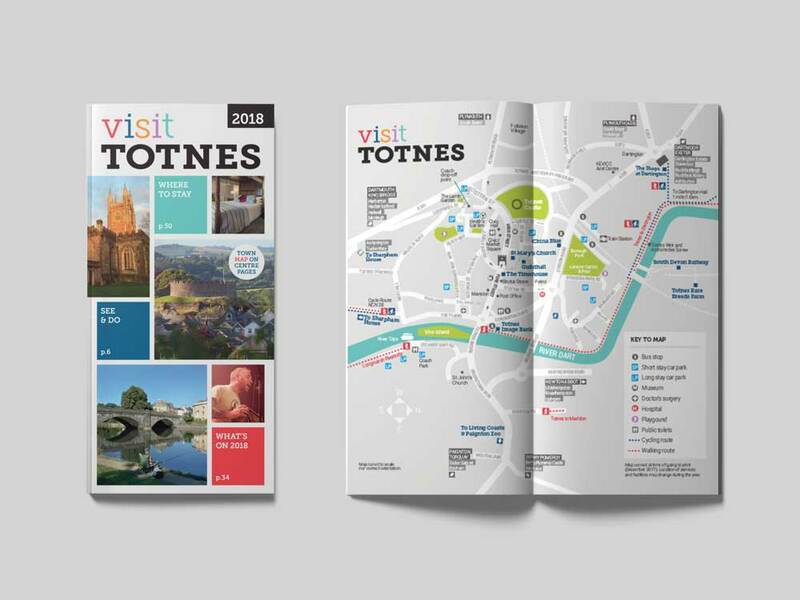 The small format Kingsbridge tourist guide was created to carry and keep, creating greater awareness for advertisers and a better destination overview for visitors. The best travel guides are full of information and glorious Devon photography. 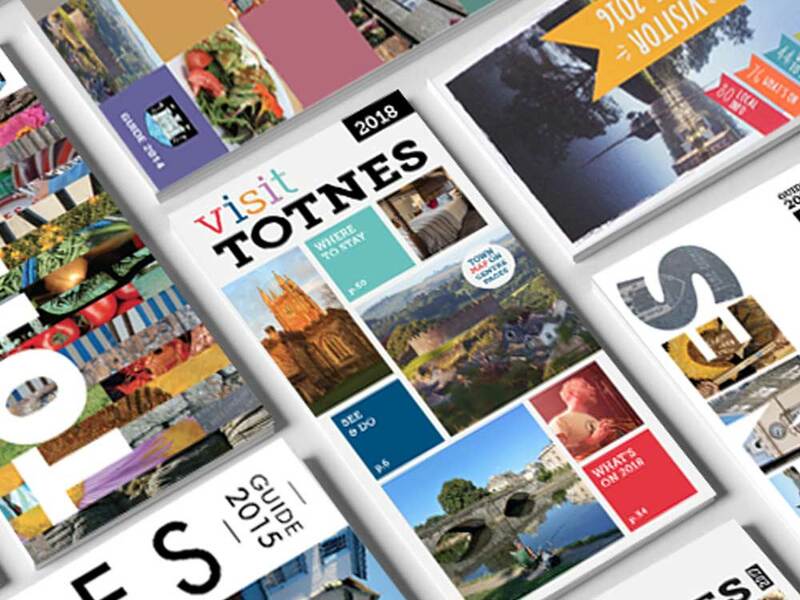 We have a stock library of photos taken specifically for tourism publications in the South West.